Every day I go about my life: drive my children to and fro, make breakfast, lunch and dinner, and change my baby's diapers in my four-walled house while the world buzzes around me busy and fast. My little plays on the floor and I watch him pluck toy after toy out of the large box in the corner of the room and although my life is rich with many things, I think about you because I miss the village. I miss the village I never had. The one with mothers doing the washing side by side, clucking and laughing hysterically, tired in body but quick in spirit. We'd know each other so well: annoying one another from time to time, but never staying mad long because the truth is, we need each other. The children would wake up early, as they tend to, and run outside, finding each other amongst the tall trees. They'd disappear into the field and forest for a day of play as we'd start our sacred work. We'd knead bread side by side, the littles at our feet, breasts, on our backs and in our arms. It would be impossible to tell whose children belonged to whom -- we'd all attend to the group of toddling wee ones, check on the deeply breathing babies, wave little hands off of our floured table, pinch cheeks and kiss boo-boos. The days would be full of conversation as we expertly flexed a muscle that has since gone weak: the art of listening. 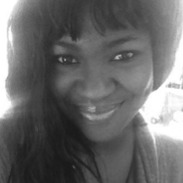 Quiet empathy in lieu of passive judgement, and when called for, gentle, sincere advice. In our village, our members are our estate and we build them up. We'd laugh -- too much and never enough at the same time. Whether it be stifled giggles overflowing out of covered mouths like a pot of water bubbling over or donkey brays loud enough to wake the children, we'd be skilled at finding the joy in the mundane. We'd cry -- never alone, but shoulder to shoulder over unborn children gone too soon or men who changed their minds. We'd stitch back the frayed edges of each other's lives the best we could, wiping the tears off of each other's cheeks. If any of us became lost in the darkness, we'd journey into the depths of her heart and pull her body back to shore. When mealtime came we'd set the food out on long tables and the children would eat happily and hungrily, as they tend to when in the company of other small people. They'd talk about their adventures and, to their exaggerated disappointment, we'd make them take the younger children this time to teach them what we already know: we exist for each other. When one of was feeling sick or needed extra rest from a long night up with a child, we'd swoop in and tend to your children as we would our own for as long as necessary -- no need to even ask. You would drift off to a healing sleep with full confidence. We'd want you to be well because we'd know that we're only as strong as our weakest member -- and not only that, we'd love you, not with the sappy love of greeting cards, but with an appreciative love that has full knowledge of how your colors add to our patchwork. You'd know me and I'd know you. I'd know your children, and you'd know mine. Not just on a surface level -- favorite foods, games and such -- but real, true knowledge of the soul that flickers behind their eyes. I'd trust them in your arms just as much as I'd trust them in mine. They'd respect you and heed your "no." And as our children grew up and out and our skin went paper thin, we'd keep making bread, sharing it with tea, stories of beautiful grandchildren, and how things used to be. I miss that village of mothers that I've never had. The one we traded for homes that, despite being a stone's throw, feel miles apart from each other. The one we traded for locked front doors, blinking devices and afternoons alone on the floor playing one-on-one with our little ones. What gives me hope is that as I look at you from across the park with your own child in tow playing in her own corner of the sandbox, I can tell from your curious glance and shy smile that you miss it, too. Maybe we'll have it again. But for today, I'll invite you and your little one over for tea. And maybe bread. 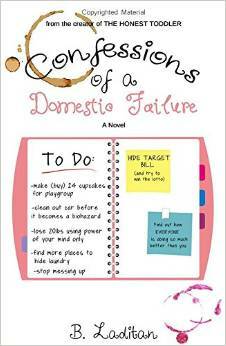 Bunmi's new book, Confessions of a Domestic Failure, is out November 4.